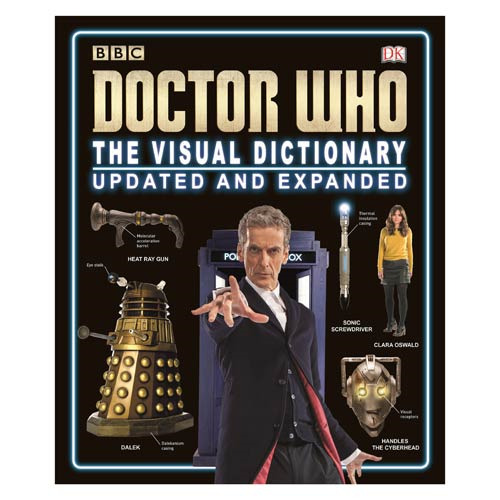 The Doctor Who: The Visual Dictionary Updated and Expanded Hardcover Book includes all the action from the series including Peter Capaldi as the Doctor. This 176-page, full-color hardcover book reveals all about the mysterious time traveler known only as "The Doctor." Includes detailed information on the Ninth, Tenth, Eleventh, and Twelfth Doctors and highlights the companions, aliens, and adventures across time and space.